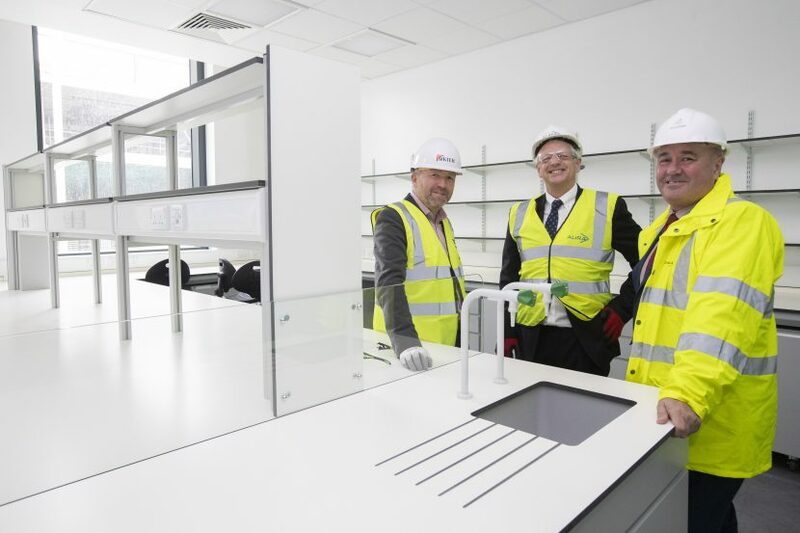 A brand-new lab facility is soon to be opening within the heart of Newcastle’s £350m urban development scheme – Newcastle Helix. The Biosphere will provide a home for ambitious companies within life sciences and innovation, research and development. This is all part of the city’s wider commitment to support economic development and growth within the life sciences sector. Photo: L to R: David Theobald, Assistant Director, Capital Investment (Newcastle City Council), James Marshall, Project Manager at Aura North East and Cllr Ged Bell, Cabinet member for employment (Newcastle City Council).